For his eerie project Cable Tower Hum, Carrière used sounds from contact microphones attached to cranes, bridges and towers along the Lachine Canal. In music permeated by such sonic and compositional variety and passages of electrified melody, it's startling that Christian Carrière uses no samplers, computers, drum machines, synthesizers or sequencers to make his circuits sing the way they do. Made entirely of live improvisation with a no-input console, he fashions feedback into hypnotic rhythmic layers and tunes the frequencies into fluid and affecting refrains. Originally from Ottawa, Carrière has been feeding a mixing board back into itself, making it his instrument, for more than a decade. It was while working as a TV broadcast sound engineer that he first imagined the console as a performative device, in part inspired by the work of Brian Eno. A member of artist collective CRUM (Centre de recherche urbaine de Montréal), field recordists The Lanark Land Art Recording Group and experimental Montréal group Interceiving, Carrière has been joined by percussion, bass, keyboards and other instruments to create an experimental "almost pop." But he has also interpreted the music of Arvo Pärt by harnessing, looping and re-pitching the mixer’s signal in real-time, creating a gorgeous melange of sacred music and sound design. Carrière has released several albums, scored independent films and created sound art installations for gallery and museum projects. Most notably, Carrière conjured up a mesmerizingly meditative soundtrack for an installation by Montréal-based shadow puppeteers Mere Phantoms, presented at the 2013 Istanbul Biennial. 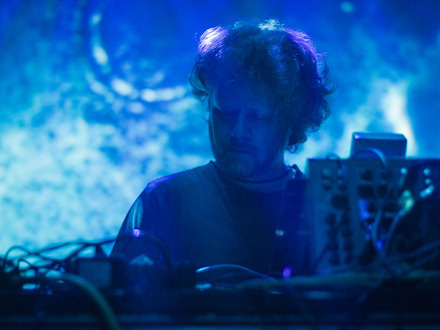 After making his MUTEK debut in 2016 at the Musée d'art contemporain de Montréal with a console performance of sublime circuitry, Carrière returns with Four Corners, an immersive, quadraphonic exploration of non-coincident sound loops. One at a time, Carrière will activate speakers positioned at four corners around the audience with sound loops he creates in real time, in the process layering these loops with different sound sources.